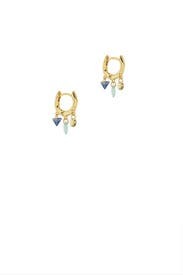 Pretty geometric charms dangle from these Gorjana hoops that are a perfect everyday addition. 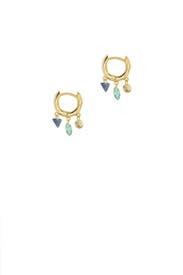 18K gold plated huggie earrings with multi stone drops. Post back hing closure for pierced ears. .75" long.